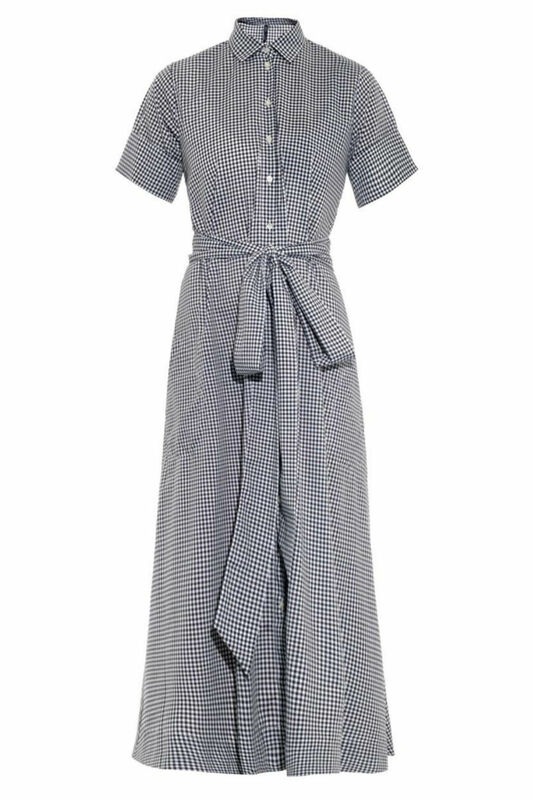 It’s always such a good feeling to be able to wear a dress in the sun, and this summer there’s a huge selection to choose from whether you need one for work, rest or play. While some of us are dress devotees, others find them harder to wear, but the dress of the season – the tea dress – comes in styles to suit everyone. 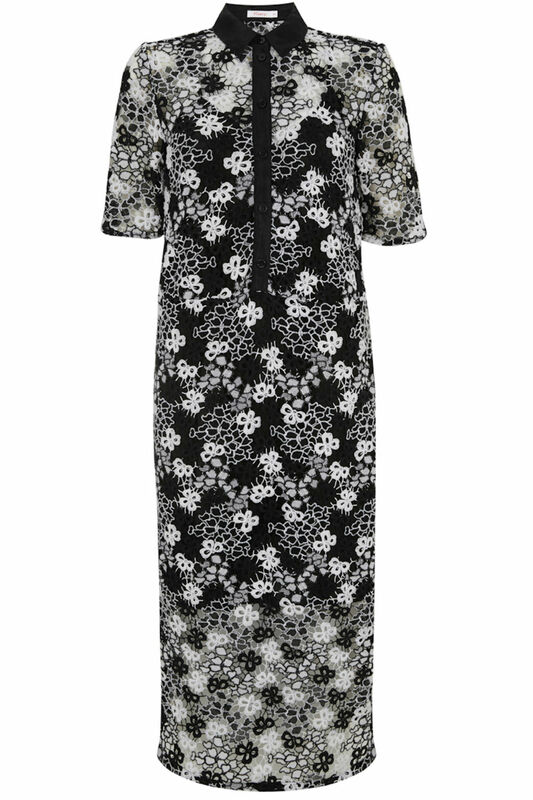 I adore the monochrome lace of this Finery dress and also the classic collar detailing. It is the perfect dress for work and to transition to the evening. It would look great with flats in the day and a high strappy sandal at night. Team it with a chic, clean-lined leather jacket for those cool summer nights. 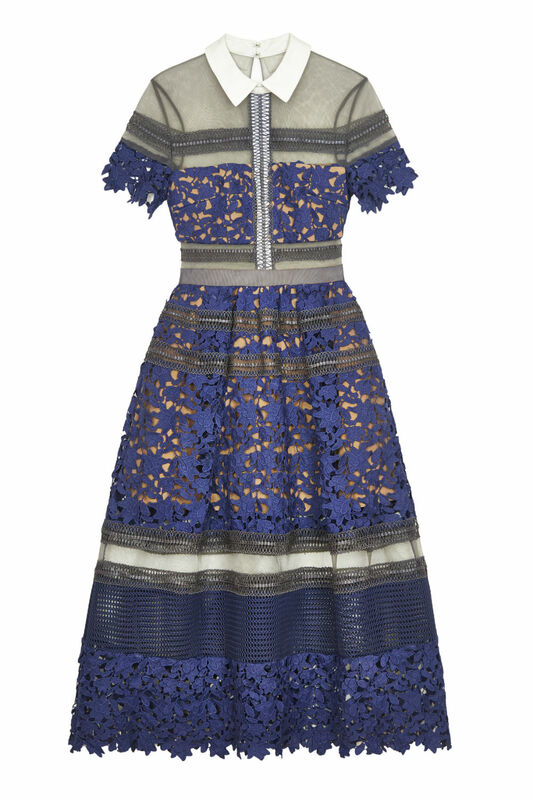 It was love at first sight with this Self-Portrait dress. The price tag is great, but it looks a million dollars. Self-Portrait is a brand that all the fashionistas are wearing and it has something for every occasion. The colour of the lace and the sheer inserts make this tea dress modern and it would look great dressed down with a pair of chunky black sandals or dressed up for a night out with a high shoe. Lisa Marie Fernandez is another brand I adore and it’s all about summer dressing so it is the place to go for a summer dress. Plus it has swimwear and gorgeous towelling robes. This dress will suit most shapes and sizes and is light and easy to wear – ideal for when temperatures rise. For me it’s a complete summer essential.